Facebook Live presents a great opportunity to connect with your followers and create one-on-one conversations. However, it can also be used as part of your larger marketing strategy to increase sales and generate prospects. 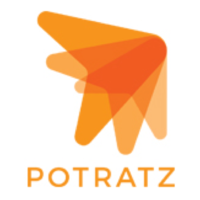 Here to tell us how your business can utilize Facebook Live to its full capability is expert marketing strategist Paul Potratz, owner of Potratz Partners Advertising. Not only is Facebook Live free for everyone to use, but your small business can reach so many viewers it might otherwise, not. It’s a great way to advertise your business, just so long as you’re not making sales pitches all the time. So, why don’t more business owners use the platform? Paul says most of the time, it’s due to the fear of being in front of the camera. A lot of people have doubts about what they should say or how long the video should be. Business owners also tend to think that they simply don’t have the time to devote to regular live videos. Paul notes that you don’t necessarily have to invest in any high-quality equipment. Your smartphone is capable of doing a great job all on its own. You do want to make sure that the audio is good, so Paul suggests investing in an average microphone attachment, or make sure the place in which you film is relatively quiet. Think of Facebook Live like a face-to-face meeting. You can connect to viewers one-on-one and have conversations with them in real-time. You want to keep it real with your audience, and that kind of authenticity will increase your engagement. Paul says there really is no ideal length of video to put out there. Shorter isn’t always better. Facebook Live is about having a dialogue with your audience, so however long that takes, is your ideal length. For more advice and insight about Facebook Live from Paul, be sure to watch our entire interview above.